When we live our lives consciously, universal motifs, archetypes, and timeless patterns emerge through which we discover not only who we are but also why we are deeply connected to all others. This is life's greatest adventure; it is thoroughly described in the world's wisdom traditions. *Mystic Journey* uses a multi-faith approach to reveal the path of the soul; this not a solitary quest but rather a superhighway meant for everyone. As we explore the deeper story of our soul, we also discover that we are living a lifelong process of soul-making, leading us ultimately to personal and collective transformation. Getting to the heart of your soul's story is soul-making. 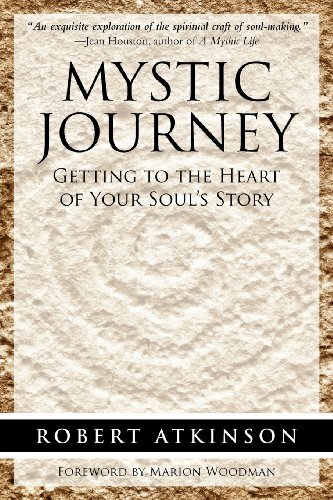 *Mystic Journey* guides readers to: â¢ Use their life stories to help solidify their identities, â¢ Live with an eternal perspective in mind, and â¢ Reclaim their common spiritual heritage. "This is a reminder of Keats' immortal perception that 'the world is a vale of soul making' and that the uses of psychology have to do with understanding the soul in transformation." -Stephen Larsen, Ph.D., author of *The Mythic Imagination* and *A Fire in the Mind* "Robert Atkinson's new book offers us a thoughtful and thorough guide to a new kind of heroics... This is a rich read." -Gregg Levoy, author of *Callings: Finding and Following an Authentic Life* ROBERT ATKINSON, Ph.D., an internationally recognized authority in helping people tell their life stories, is an author of eight books, professor of human development and religious studies, and director of the Life Story Center at the University of Southern Maine. He is online at www.RobertAtkinson.net.